I canâ€™t believe it is already June!Â Everything is brilliant green, the summer heat is starting to build, and we are getting ready to share another year of conservation success stories with you all at our Conservation Celebration and Annual Meeting. 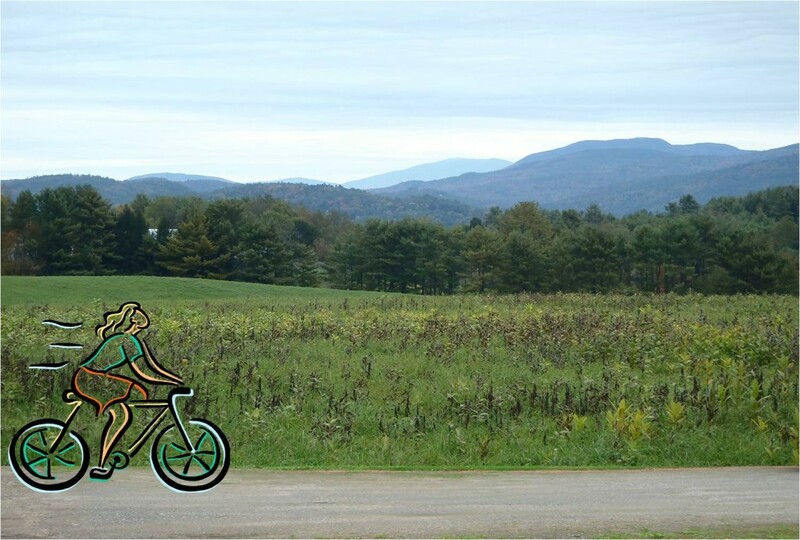 Before the party on Wednesday, June 5th, join me for a great 10-mile ride that starts and ends at the celebration site at Farrell Farm in Norwich VT.Â What better way to get ready for the evening social hour with our wonderful Board members serving at the bar, followed by a dinner full of local foodsÂ and more stories and awards? During the ride, we will certainly take time to stop and admire the conserved lands that we pass along the way; this is a great chance to see the surrounding landscape and get up close to places that have been protected in perpetuity by the Upper Valley Land Trust, the landowners, and valued partners like the Vermont Housing and Conservation Board. Â Also critical to each protected place are individual members and supporters of UVLT; now is the month to join with a donation, or renew your support for another great year ahead! Description: 10+/- mile road ride (half dirt roads, half paved) from our 2013 celebration location at Farrell Farm in Norwich VT, looping by many conserved lands and returning for the party. https://uvlt.org/wp-content/uploads/2014/02/logo_banner221.gif 0 0 Jeanie McIntyre https://uvlt.org/wp-content/uploads/2014/02/logo_banner221.gif Jeanie McIntyre2013-06-04 15:47:522013-12-21 15:32:42Rides through our Valley: Route #3 â€“ Celebration Ride 2013!